A young man, who has recently has moved to New York with his mother, is introduced to a group of young computer hackers, and through his initiation trials they battle in a straight out cyber war against the head of the Secret Service cyber division. During this, they discover a nasty virus, that is to be used for blackmail against a large company. Now they must fight the government and an evil hacker to prove their innocence. Before I get further into this review, I might as well admit, that I might be quite a bit biased. This movie has a cult status within a certain group of my friends, and whenever I see it (which still is a few times a year), it brings back a wide series of happy hacking and drunken merriment. The plot is fairly standard for an action movie. Evil man is plotting evil deeds, our group of heroes discover this and tries to bring it right without getting caught by the law. Along with this, is a classic love story, where a boy meets a girl, that thinks nothing of him, and he will have to fight to win her over. There is nothing new in this, it is safe and every one knows where we are going, but it works. The creative part for this movie is not the plot but is instead found in the effects. Even though it has a vast amount of technical errors and every interface is overdone to a point of absolute ridicule, I was (and to some extend still is) greatly entertained by it. My guess is, that the director decided that making it utterly boring to look at, an therefore asked the graphics designer to spice it up to a level of over-the-top-with-bells-and-whistles. It is funny, and I like it. Moving back to the plot, I still believe the story behind it to be realistic and very contemporary actually. These hacking attacks do occur today and a skilfully planted worm or trojan could have the power to steal or destroy for millions. I guess that one of the reasons, why I like this movie, also is that I feel that I can relate to the characters. I was one of the members of the gang, when I was younger, and we could take over the world with a laptop, a phone line and a terminal, or well... so we thought. The actors playing the various characters were very young while making this move, and their experience is somewhat limited which shines through. A lot of the dialog is malfunctioning due to poorly delivered lines and often the body language, facial expression and spoken words each point in a different direction. Very confusing but my undisputed love for this movie tells me, that it is part of the charm. The raw acting also makes it fresh. The soundtrack for the movie is great. It is very fitting and I have seen the movie so many times, that when I hear one of the tracks in a different connection, I still get flashbacks from the movie. Brilliant! This movie is recommendable watching with a group of nerds as a warm up for a party, or during a LAN-party on a big screen, or anywhere else where there is computers, geeks, alcohol and large quantities of coffee involved. 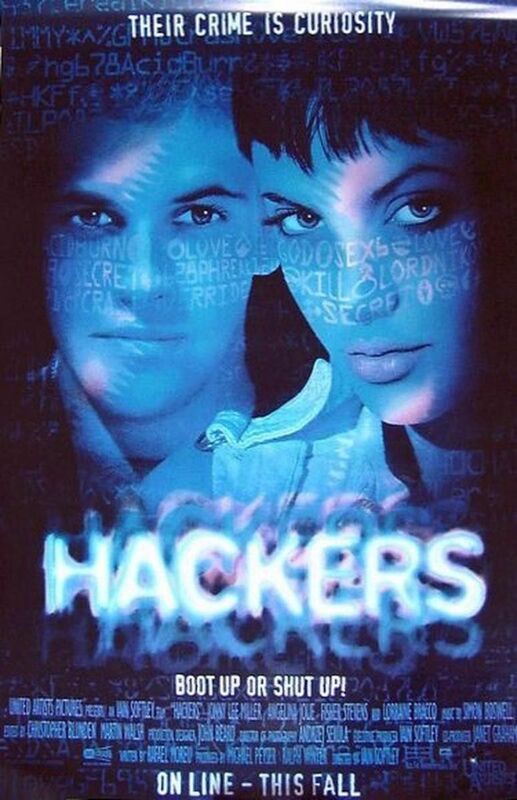 It is a cult classic and definitely one-to-watch if you are into low grade sci-fi, hacking or similar.